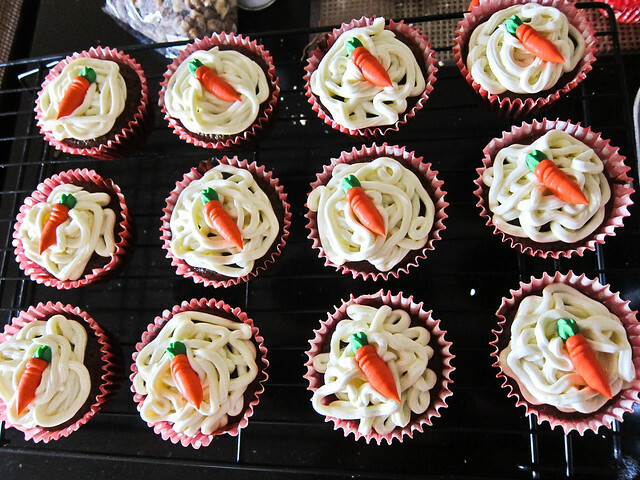 I celebrated my birthday last Monday and to make it extra special, instead of buying a cake I decided to bake some carrot muffins. 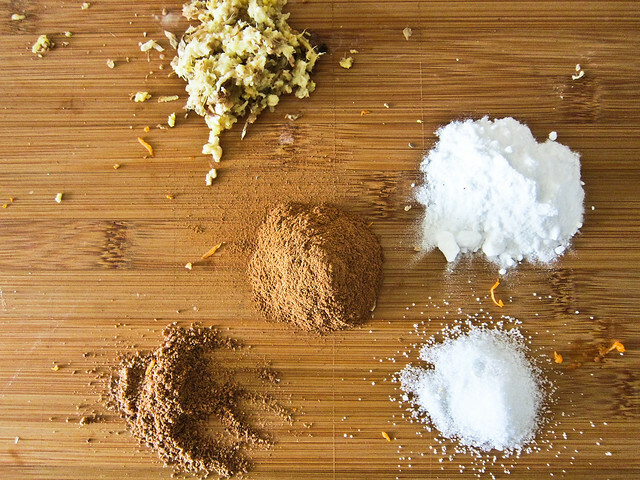 I have the habit of substituting dark brown sugar for half of the granulated sugar in the recipe as it gives additional moist and richer taste. 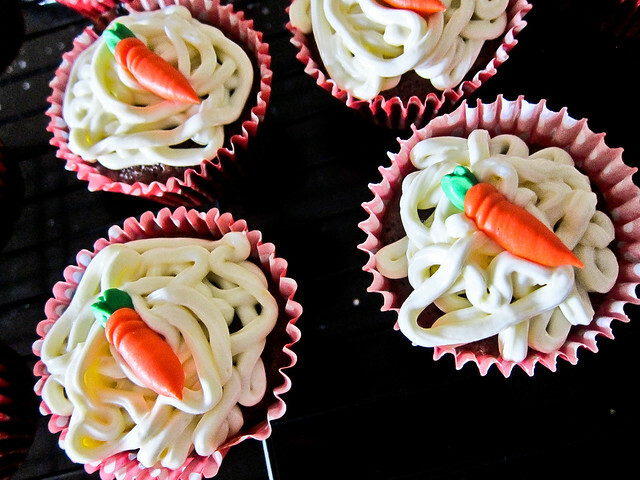 spaghetti frosting? Oh forgive the first-timer. 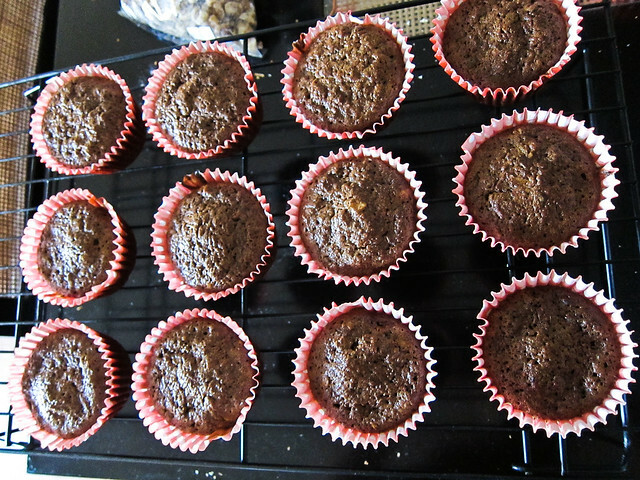 If you, like my friend Jego, are not a fan of cream cheese, worry not cause these muffins are still good without the frosting on top. 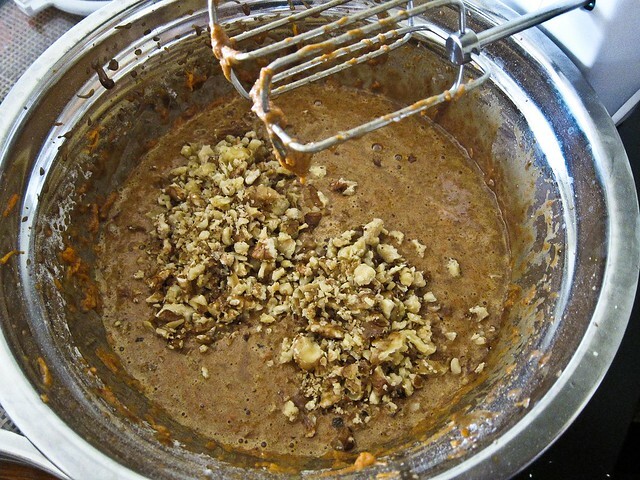 Whisk together the flour, baking soda, salt, cinnamon, nutmeg and ginger in a medium bowl. 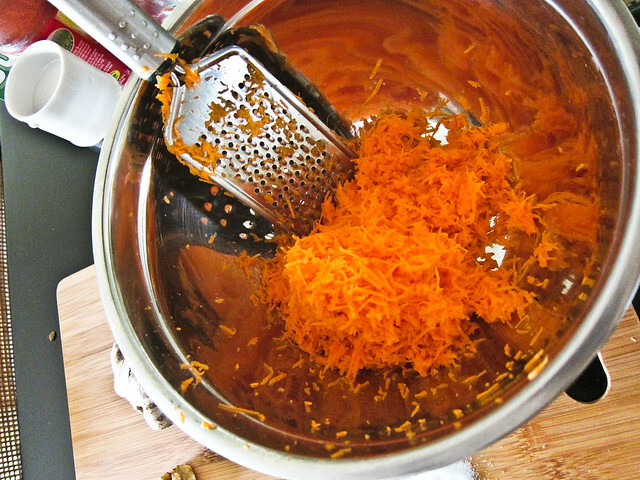 Whisk sugar and oil in large bowl until well blended. 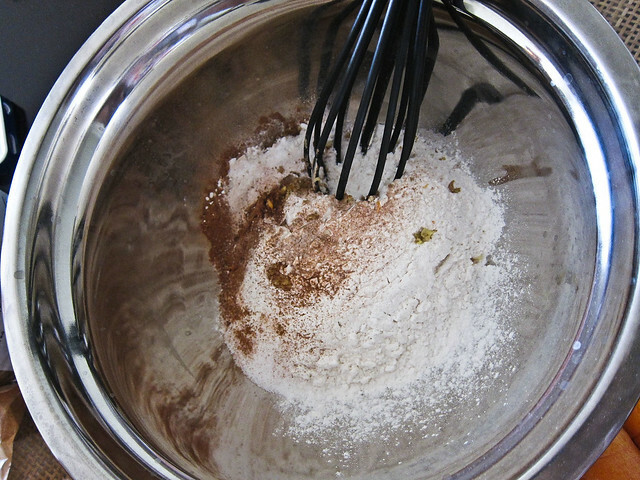 Add in the flour mixture and stir until well blended. 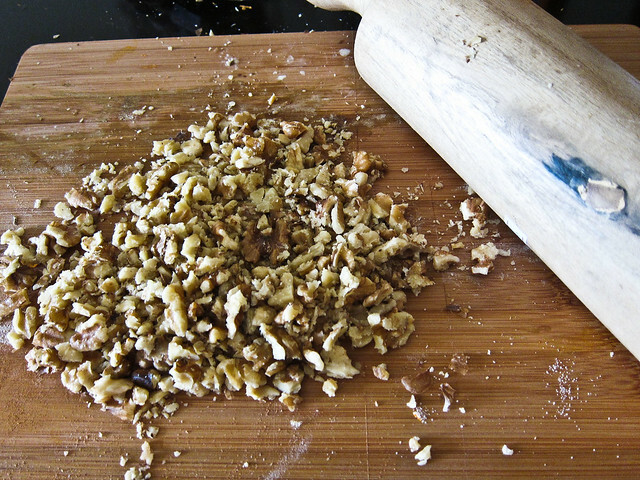 Stir in carrots followed by walnuts. 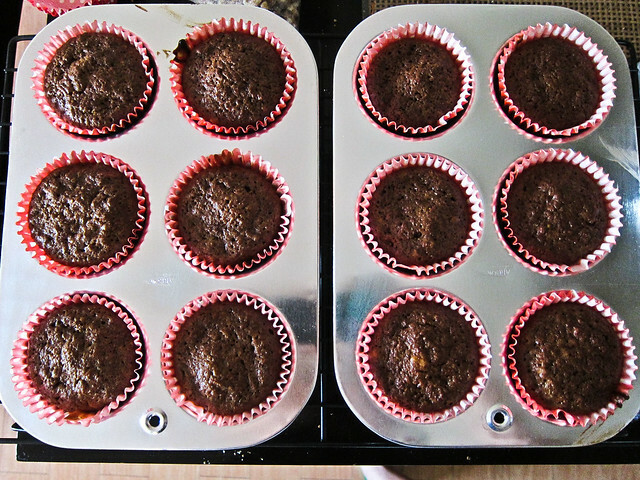 Line the muffin pans with 24 cups. 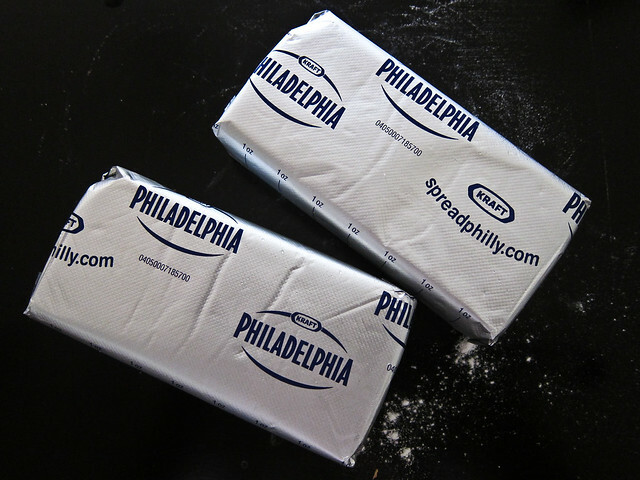 Fill each mold with 3/4 batter. 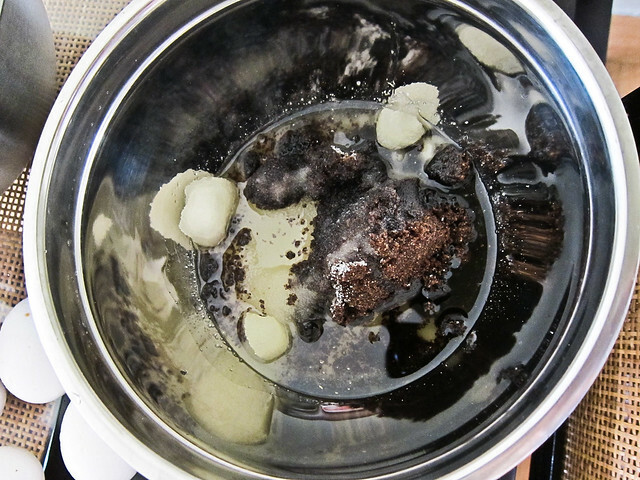 Bake for 14 to 18 minutes or until a tester/toothpick inserted comes out clean. 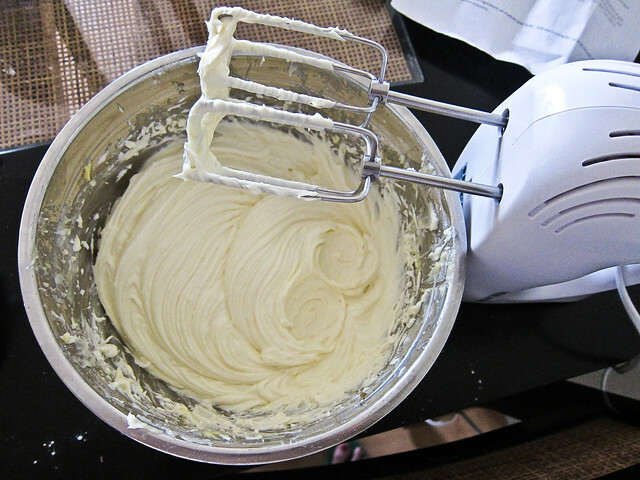 To make the frosting, beat all the ingredients using a mixer until fluffy. 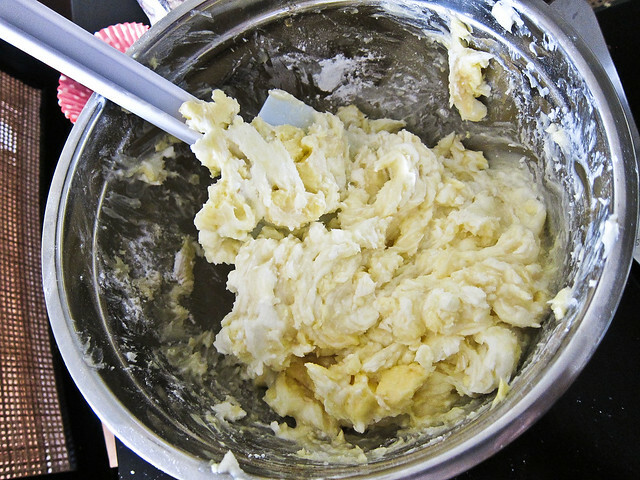 Chill the frosting for 10 to 20 minutes. 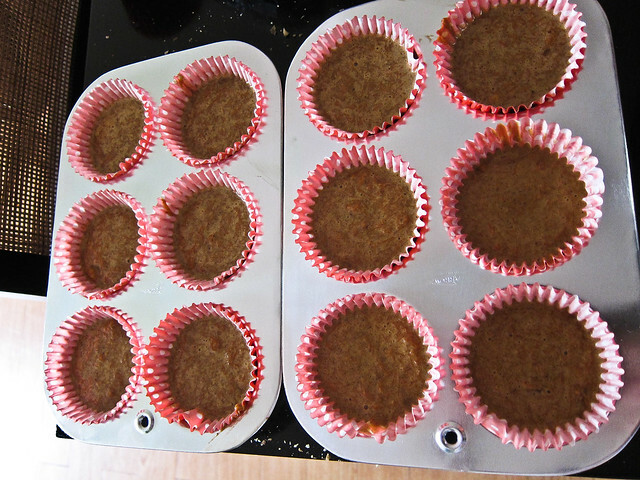 Once the muffins are baked, let cool in pans for five minutes or so, then transfer to a cooling rack. 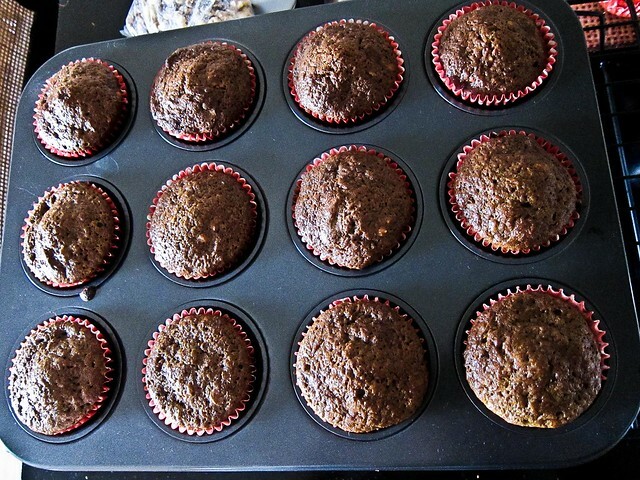 Make sure they are cooled completely before icing them. 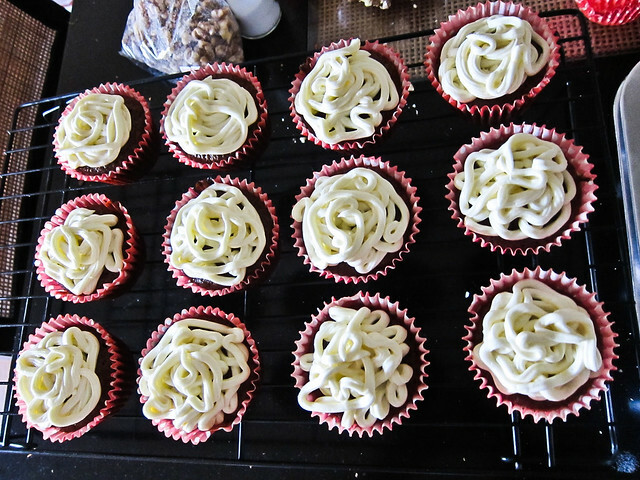 Using a piping bag with your preferred decorating tip, ice the muffins in a spiral motion starting from the outer edge. 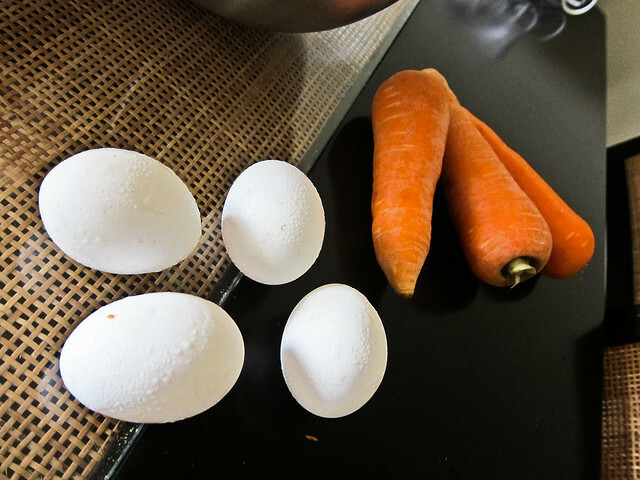 Add ready-made gumpaste carrots for added decoration.